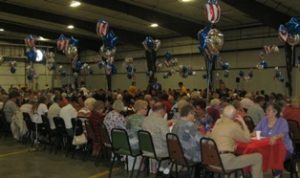 The Ford County Retired and Senior Volunteer Program (RSVP) was launched in the spring of 1974. April is National Volunteer Month and this year Ford County RSVP has completed 30 years of service in Ford County and the surrounding area. Dodge City Community College has been the sponsoring agency most of those years, providing support and guidance.